Work is currently underway to plan and build a world class mountain biking hub in and near Warburton. Stage one involves the development of 100+ kilometres of new mountain bike trails and connections. Combining Warburton’s scenic natural environment and village atmosphere, with the Warburton Mountain Bike Destination would promote a healthy community and put Warburton on the national and international tourism radar. The project would be delivered in multiple stages, and would include 160 kilometres of trails when complete. The Warburton Mountain Bike Destination project is currently in the preliminary draft Master Plan stage with consultation currently occurring. There is still a large body of work, including the planning permit process and detailed design still to be undertaken. Once the Master Plan has been completed, the project will then move into the permit and approval phase. There will be further opportunity for community input during this phase. If the project is successful in the planning permit and approval stage, it will then progress to the detailed design/construction phase. This is when the project gets refined even further to the point of knowing exactly what the trails will look like, what features they will include and what materials they will be made from. The appointed trail builder or builders will then commence construction of the trail network. 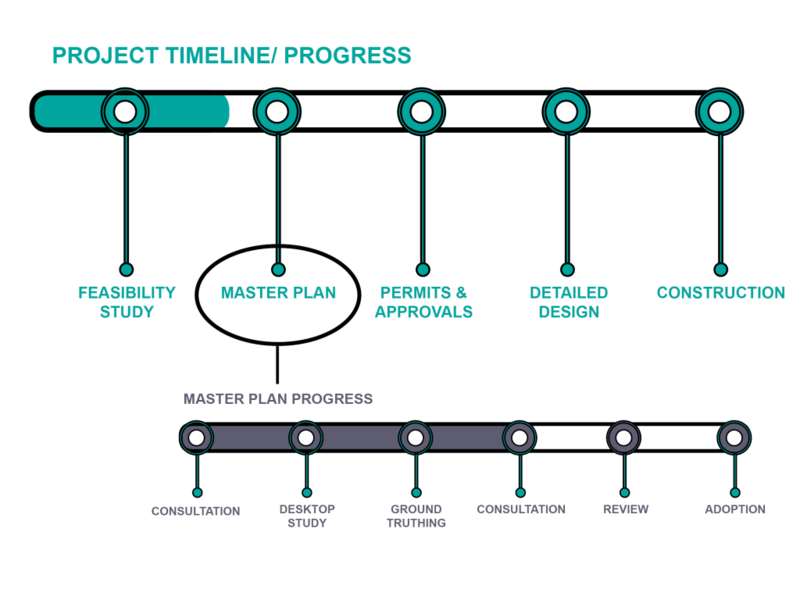 Please remember, the project is still in the draft master plan phase. The trail alignments aren’t final and are subject to change and further community consultation. The Warburton Mountain Bike Destination is being developed in a significant natural and cultural environment. Council is working with Parks Victoria, Department of Environment Land Water and Planning (DELWP), Melbourne Water and Zoos Victoria to deliver the best possible result for the project and the environment. Protecting plants and animals in the area is critical for this project. Council has established an expert panel to make sure that impacts to threatened species and vulnerable and sensitive environmental areas are minimised. To protect the important environmental and cultural values of the region, Council will use sensitive design, effective risk management and leading-edge construction techniques to deliver the trail network. This includes a 20-metre leeway for the trail alignment, so it can be constructed around trees and sensitive areas to preserve the environment. The trails will give the community more access to the Yarra Ranges’ natural environment. Educational signage will be placed along the trails, giving visitors an insight to local history and culture. As a result of the project, illegal and informal trails on public land will be reviewed or closed, leading to rehabilitation of these areas. The Warburton Mountain Bike Destination has the potential to revitalise Warburton, encourage new business, attract visitors and tourism activity. The project will draw new visitors to Warburton, as well as increasing the length of visitors’ stay, by offering new activity. The project is expected to bring about 165,000 new visitors to the Yarra Ranges each year. This would consist of 135,000 day visitors and 30,000 overnight visitors. Township planning will be conducted alongside this project to maximise opportunities and ensure supporting services and infrastructure are in place. The Warburton Mountain Bike Destination will have a direct and positive impact on the local economy. It is expected to create 122 new local jobs and generate about $20.4 million in economic spend within the region each year. This presents a significant opportunity for businesses to grow their customer base and profits. Have a look at what’s been happening with the Warburton Mountain Bike Destination project. How much will the Warburton Mountain Bike Destination cost and who is funding it? Stage 1 is expected to cost $9 million. Council has received $3 million from the Federal Government’s Building Better Regions Fund and $3 million from the State Government’s Growing Suburbs Fund. The Warburton and Yarra Junction Community Bank have also committed $300,000 to the project. Yarra Ranges Council have committed $2.7 million. How will the Warburton Mountain Bike Destination benefit the community? draw new visitors to Warburton, as well as increasing the length of stay by offering a new visitor activity. How will the trails benefit my business? 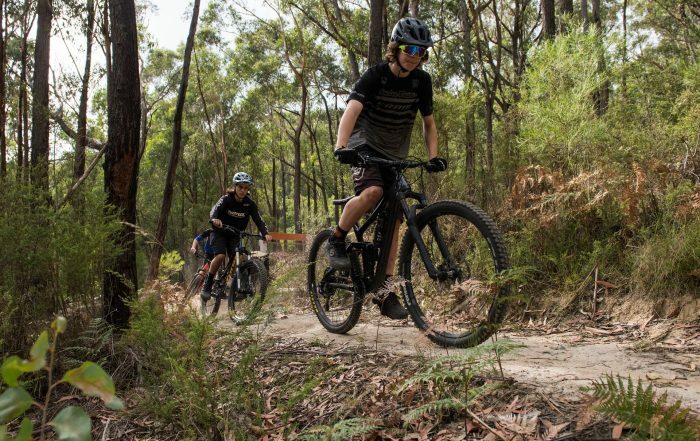 The Warburton Mountain Bike Destination and Yarra Valley Trail are expected to bring around 432,000 visitors annually to the Yarra Ranges. This consists of 384,000 day visitors and 48,000 night visitors. This equates to approximately $49 million in economic spend within the region annually, and presents a significant opportunity for businesses to increase their customer base and profits. What will be done about traffic congestion on the Warburton Highway and in town? A traffic impact assessment is currently being prepared as part of the planning process and any traffic and parking issues arising will be considered and addressed as part of the development works. Council is also conducting a Place Plan which will establish a vision and look at broader and longer term directions for the Warburton township. What extra infrastructure services will be provided in Warburton? A Warburton Township Plan is being developed that will identify specific infrastructure improvements in the town. It is expected this will highlight that sewage, car parking and visitor services such as accommodation, dining and other tourist activities will be the key infrastructure services identified. Where will trail heads and carparks be located? It is proposed to locate a trail head and car park in, or close to, Warburton township. 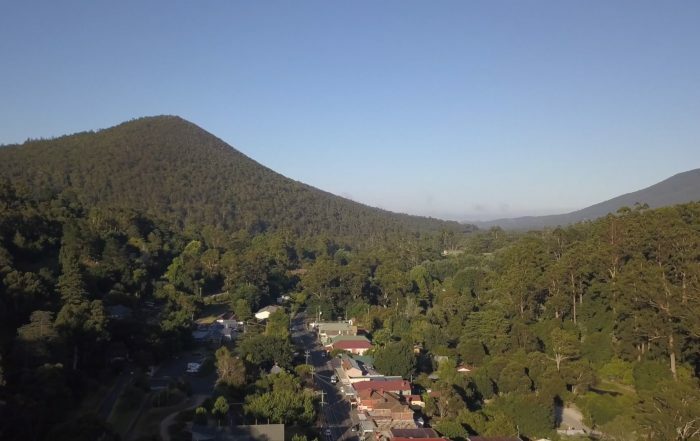 Proximity to central Warburton is important so that visitors are encouraged to access shops and services in Warburton. Community input into location and facilities at the trail heads is welcomed and will be sought through the consultation process. How will traffic around Old Warburton Road be managed? The trails have been designed to be a “ride in, ride out” experience from a main trail head in Warburton. The design is aimed at reducing private car shuttling and avoiding traffic/parking congestion in the Mt Tugwell area. The project team and land managers will work together to ensure these objectives are met. A downhill mountain bike facility is currently proposed for Powelltown which will complement the Warburton development. This will be a shuttle based experience to cater for the gravity focussed riders who prefer to shuttle. How will emergency services cope? A multi-agency emergency management plan will be put in place that ensures appropriate resources are available to respond to emergency incidents. What happens on code red fire risk days? It is likely that access to all trails will be closed on code red fire risk days as is currently done in National Park and State Forest areas. Do the trails go over private land? Unless agreed to by the land owner, no trails will go on private land. The vast majority of trails use public land. How will property safety concerns be dealt with? Residents that have the trail directly adjacent to their property will have the opportunity to assist Council in identifying solutions to mitigate concerns. Possible solutions, for example could include erecting site screens and/or fencing. How will the trails support increased public awareness of environmental issues? The trails will allow greater community access to engage with the natural environment, and therefore learn about it and value it. Along the trails will be innovative education and interpretation signage and opportunities that support environmental and cultural awareness and advocacy. Will the trail impact on Leadbeaters Possums? The conservation and protection of Leadbeaters Possums is critical for this project. To ensure we will minimise any impacts, we have convened an expert panel to offer advice and direction to minimise impacts to threatened species and vulnerable and sensitive ecological areas. This will include being able to adapt and move the trail alignment during construction within a 20 metre wide design corridor to avoid elements such as trees and sensitive ecological areas and preserve the environmental integrity. 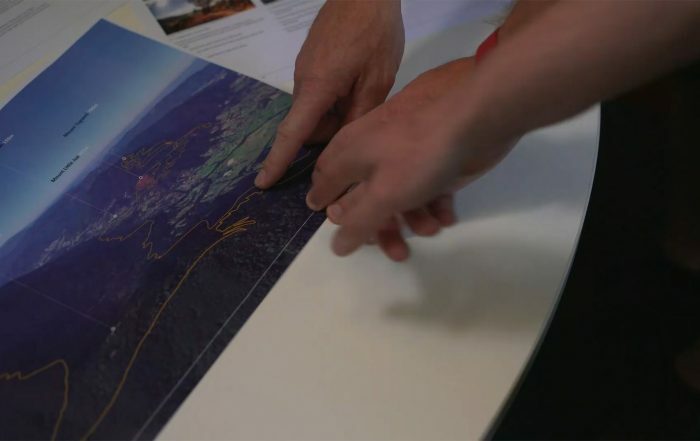 In addition, we will develop a high quality, leading edge trail design to be established in an environmentally and culturally sensitive manner, using sensitive construction techniques which will also help to protect Leadbeaters Possums. Do the trails go through any heritage sites in Old Warburton? Based on current plans for the project, the proposed alignment of trails cross at least one heritage site (H0342 – Yarra Yarra Hydraulic Gold Sluicing Company on Old Warburton Road) – important to the mining heritage of Warburton. The citation for H0342 recommends a conservation management plan be prepared prior to any activity that would involve ground disturbance to ensure any remaining artifacts and landform (which was altered and formed by the mining practices) is preserved. The conservation management plan will likely be a condition of a planning permit for the project, which would also consider any other relevant heritage issues. Council has engaged heritage experts BIOSIS to assits the project to navigate similar heritage areas, and to give advice on how to sensitively provide public access to important heritage sites while preserving their integrity. BIOSIS were involved last year in developing a Cultural Heritage Management Plan for the proposed trail on Mt Donna Buang, and will be utilised in a similar fashion for other sites as the draft Master Plan investigations and consultation continues. Do the trails go through the Old Warburton cemetery? No, the proposed trails will not be within the cemetery, regardless of how it is being shown on any maps. Work will be undertaken to confirm the cemetery boundaries and ensure the proposed trails do not fall within the cemetery. How wide will the trails be and what surface will they have? The mountain bike trails will generally be between 600mm and 900mm wide and naturally surfaced. In order to ensure erosion is reduced and maintenance is minimised sections of the trail network will have hardened surfaces such as gravel and rock. When will the Warburton MTB trails start being built? The project is currently in masterplan/detailed design phase. Once funding is secured, a design and tender process will start to appoint a trail builder. To stay up to date with the project subscribe to our project updates. Who will build the trails? The trails will be built by a professional trail builder that will be engaged by Council through a procurement process. How will the trails be managed? It is proposed to establish an Incorporated Association to manage the trails. This means all profits are put back into the association’s activities. The association will manage the operation, maintenance, volunteers, events and marketing of the trails network, including both the Warburton Mountain Bike Destination and the Yarra Valley Trail. Will existing walking tracks be closed to become mountain bike tracks? No walking tracks are to be closed, and no existing walking tracks are to be converted for mountain bike use. The Masterplan aims to ensure that both walking trails and proposed mountain bike tracks co-exist respectfully. Will the O’Shannassy Aqueduct be closed for walkers? No. The Aqueduct Trail will remain open to walkers and it will remain as a cyclist/ walker shared use path. Can trail runners use the Warburton Mountain Bike trails? The trails in Warburton will primarily be for mountain bike use only. There is the possibly of holding special trail running events. Will riders have to pay to use the trails? It is proposed to have an independent Incorporated Association operate and maintain the trails. This Association will be responsible for raising funds to cover this. Avenues for generating revenue are being explored. The project is currently in the planning phase, and there will be several opportunities for people to be involved in as the project progresses. We’re aiming to develop a world class mountain bike destination, so all ideas and suggestions will be carefully considered so that we can achieve the best possible outcomes from the project. To stay up to date with the latest project status and find out about consultation opportunities, subscribe to our project updates.